There are herbal and natural parasite control products available to enhance the immune system of your dog which helps to repel worms. 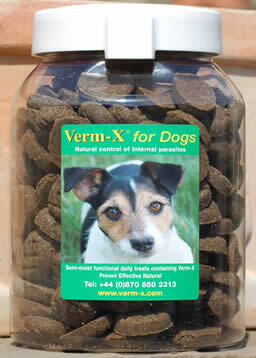 Wormers Direct stock the complete range of Verm-X herbal parasite control products for dogs. Verm-X has developed two herbal products for dogs.